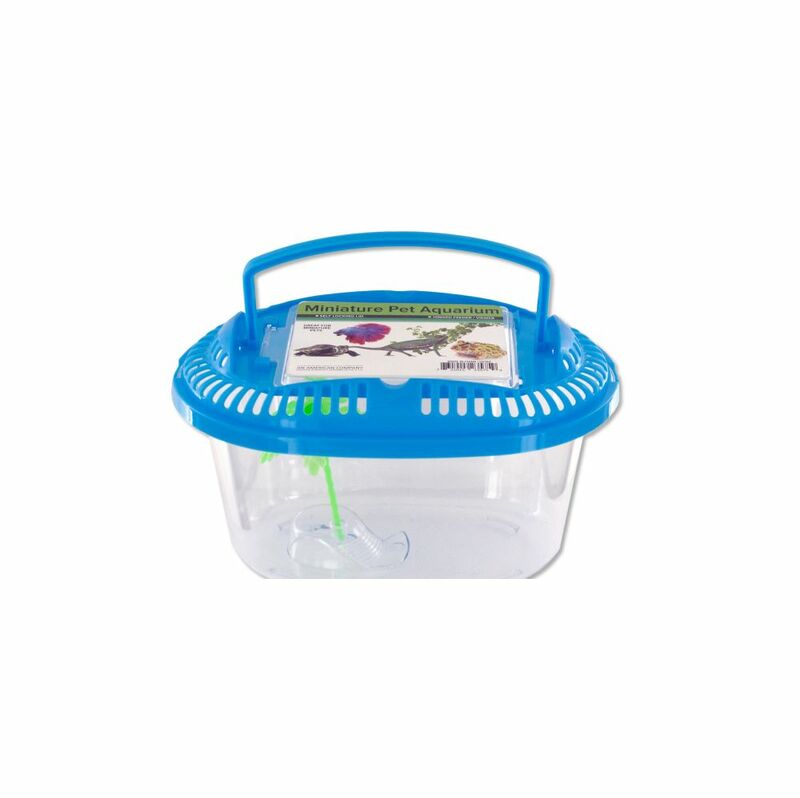 Provide a safe home for a pet fish, lizard or turtle with this Miniature Pet Aquarium featuring a durable plastic tank with a ventilated, self-locking lid with a hinged feeder/viewer and a folding handle. Includes one piece of plastic vegetation. Measures approximately 7 x 4 x 5. Comes loose.